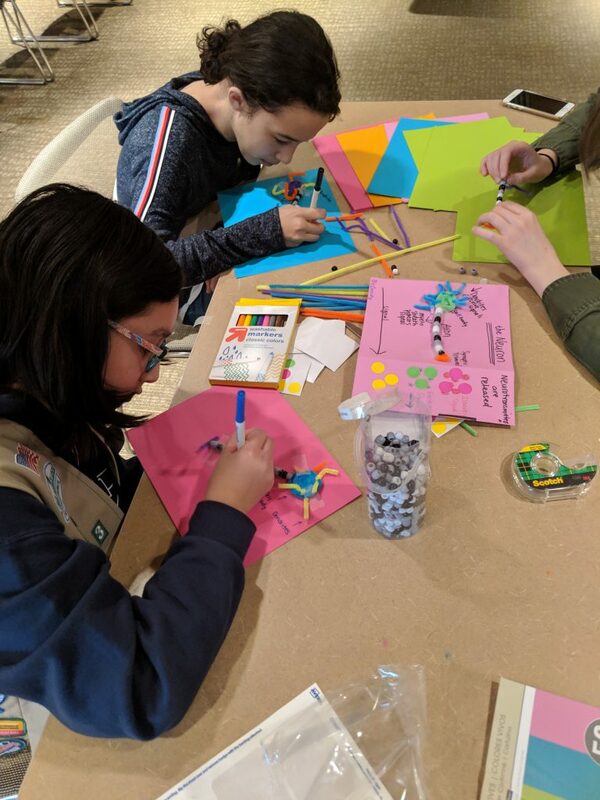 On Saturday March 16, WiSE Outreach held our 3rd Annual Brain Day event for the Girl Scouts of Nassau County in celebration of Brain Awareness Week. The Dana Foundation declared March 10-24 Brain Awareness Week to bring public attention to the progress and importance of brain research. 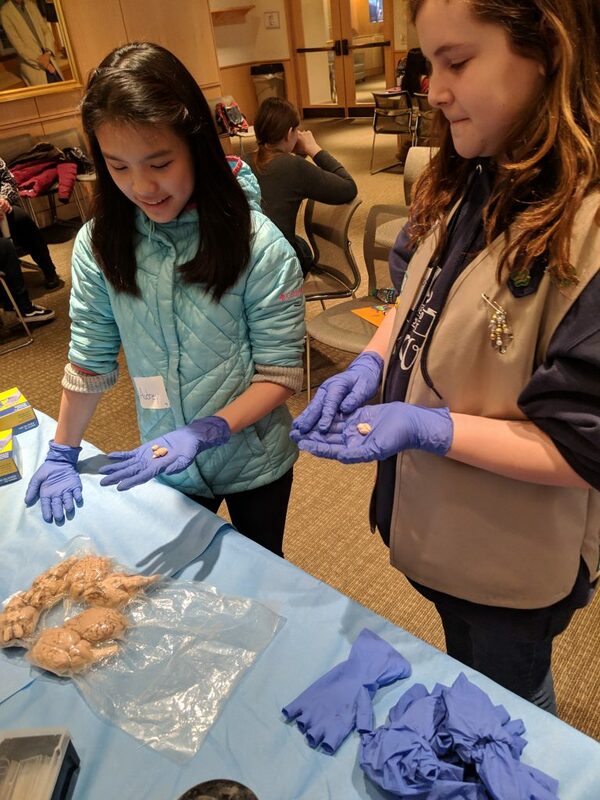 Girl Scouts were invited to come to Cold Spring Harbor Laboratory to learn from our WiSE neuroscientists about the brain. 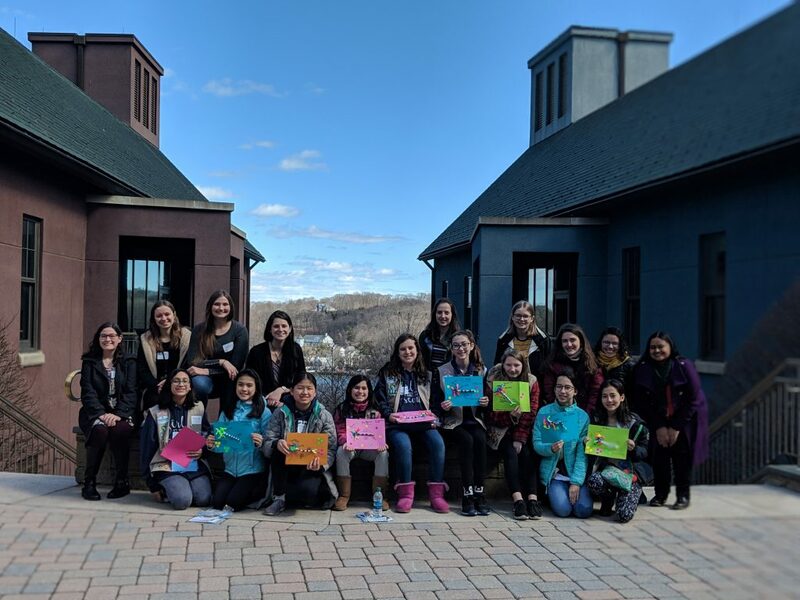 After an introduction to neuroscience, the girls were split into groups to rotate through 5 fun neuroscience activities. 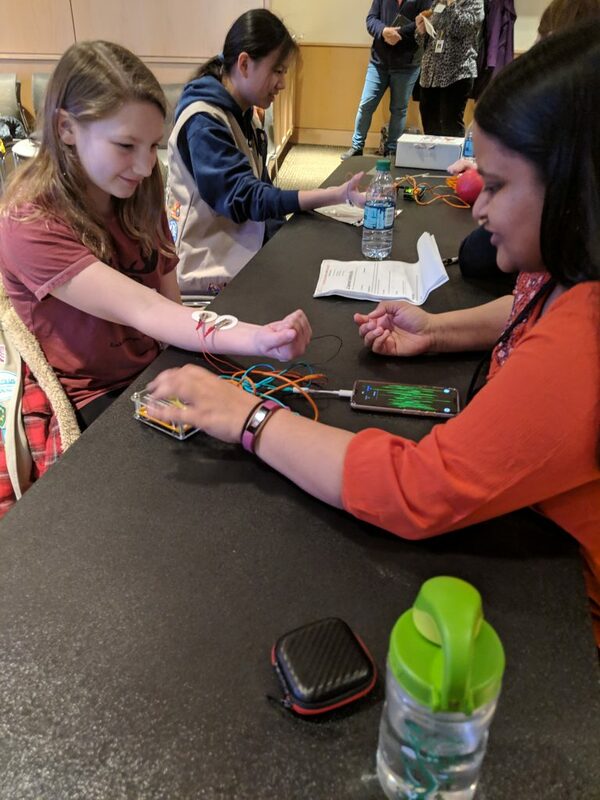 For three stations, we utilized Backyard Brains equipment to demonstrate the electrical signals sent by neurons that allow for muscle contraction and movement. 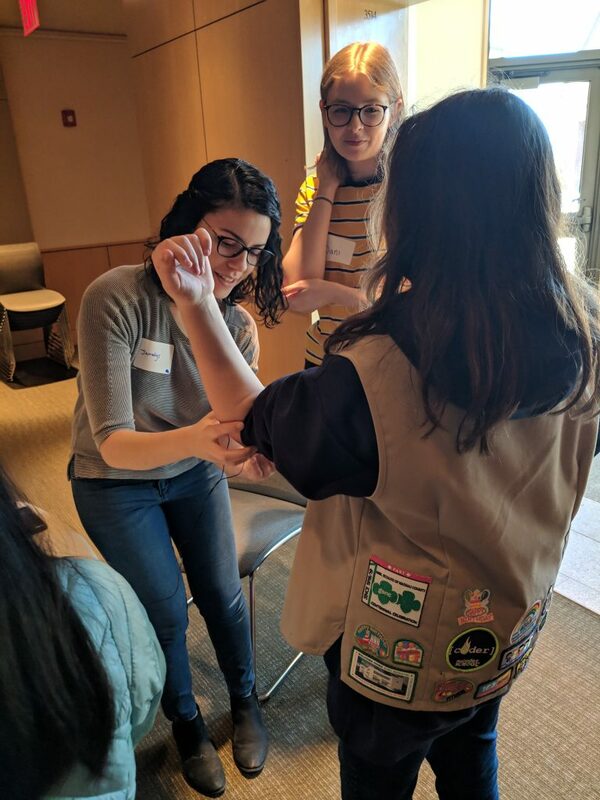 The girl’s were fascinated by their ability to control a claw with their own muscle contractions; better yet they could control each other at the mind-control station! They even became DJs at a station that converts muscle contraction into sound. 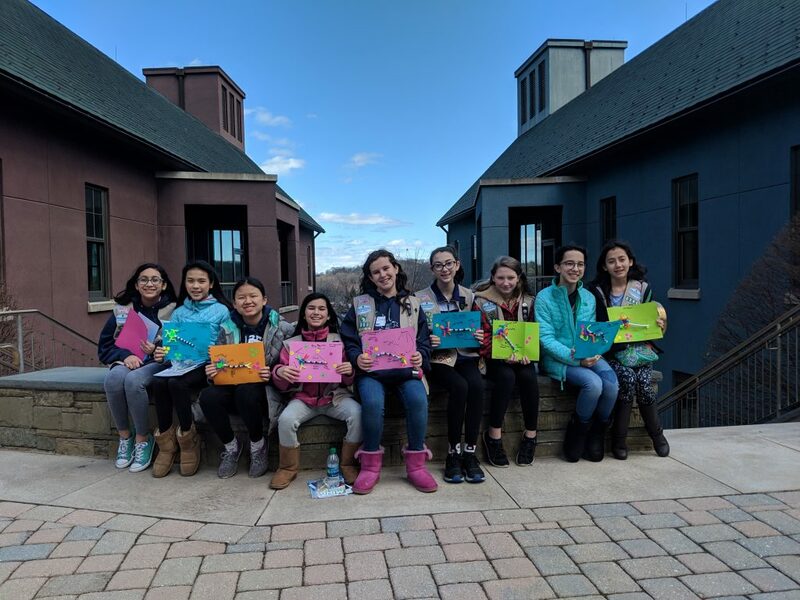 We had the girls get crafty to learn about the structure of a neuron. 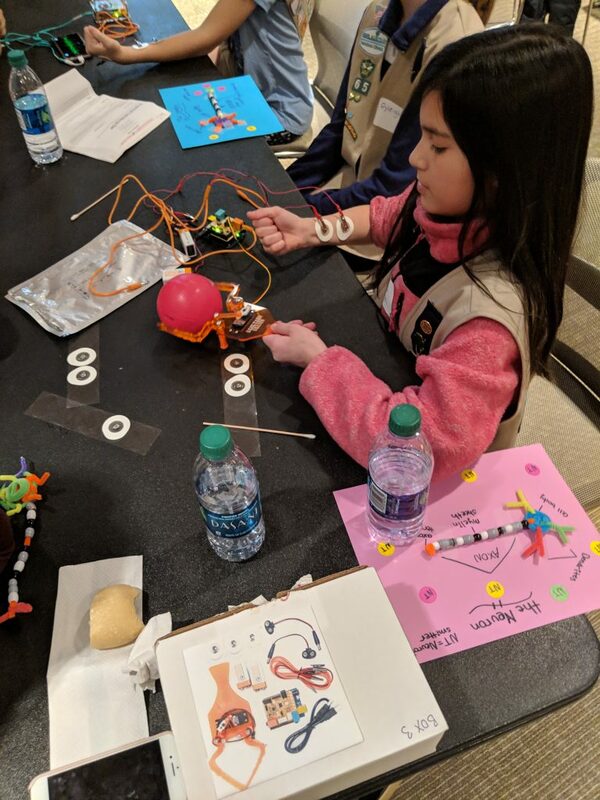 They learned about dendrites, the axon, and the myelin sheath as they shaped pipe-cleaners and incorporated “protective” beads. The day wouldn’t have been complete without a station with REAL BRAINS! The girls were excited to touch and hold preserved cow, sheep, rat and mouse brains, as they observed the similarities across the species. We were able to send the girls home with some brain activity books and goodie-bags provided by the Dana Foundation. There were even some books for their parents at home. 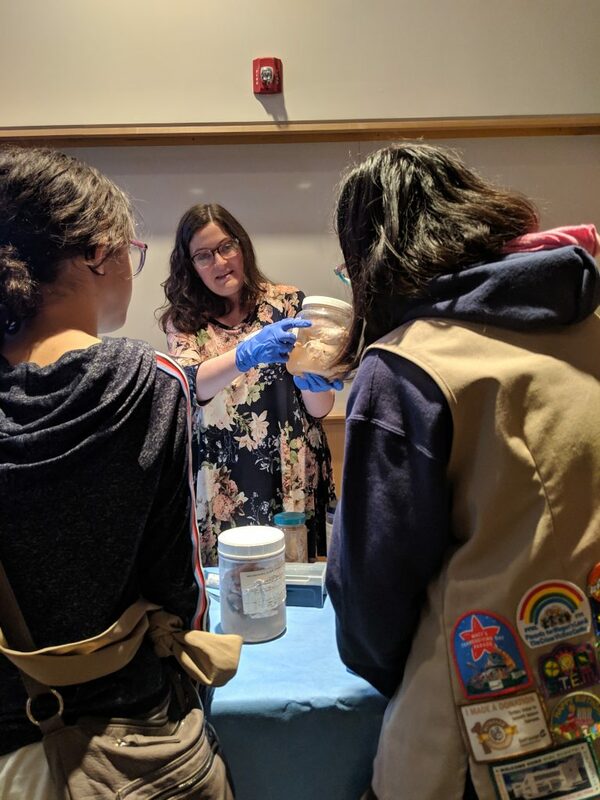 Once again, WiSE Brain Day was a success thanks to our WiSE volunteers, the Dana Foundation, and the Girl Scouts of Nassau County.